Each quarter ShareASale releases a new catalog – in print and digital format- featuring Merchants with relevant products for the upcoming season in addition to noteworthy articles and related content. Today we are happy to announce the release of the 2016 Spring Catalog. This edition celebrates life’s most cherished moments and milestones – including weddings, birth, retirement, new pets, new houses and more! Want a copy of our next catalog mailed to you? 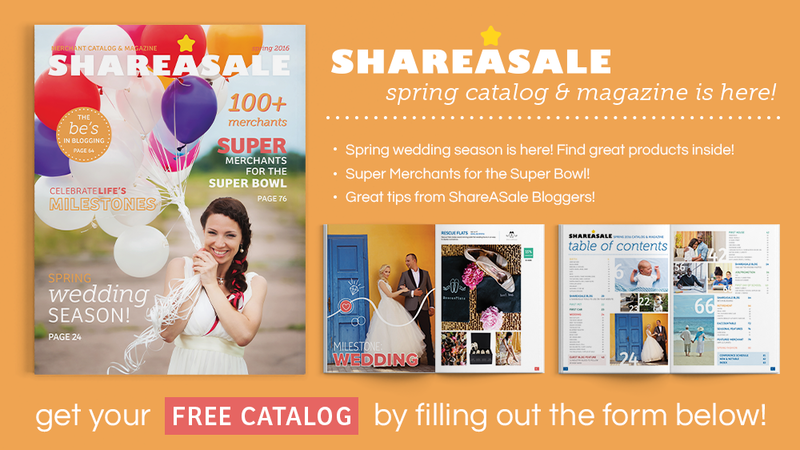 Remember, our catalogs are always FREE, and you can sign up to receive a copy of our next issue at www.shareasale.com/catalog and we’ll mail out a catalog to your as soon as possible!